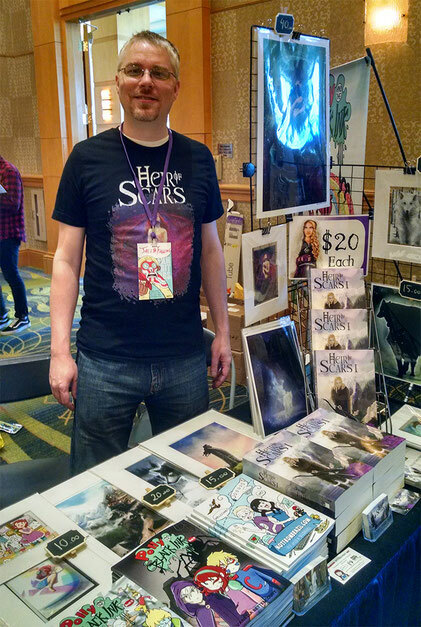 Small Press Expo this weekend was a blast. It's the best place to discover high-quality work, hunt for amazing books, meet their creators and connect to amazing artists. We had the change to showcase our work to a lot of diverse and interesting people. We were humbled and inspired by their stories, their passion and their goals. We thank those who showed interest and passion for our books and took a piece of our story home. 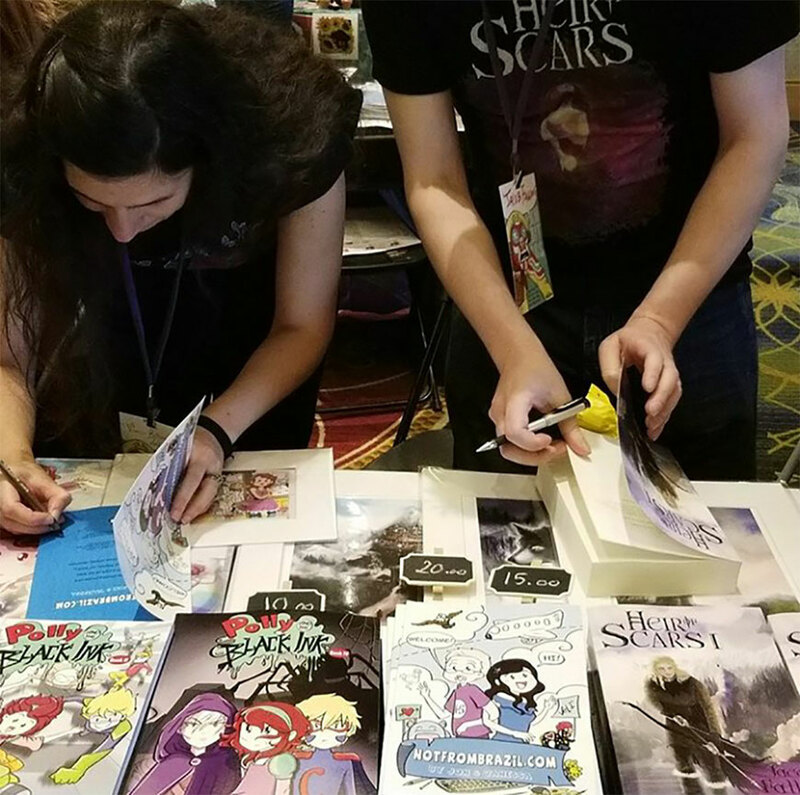 As a husband and wife duo, it was fun and an honor to present Heir of Scars. The epic fantasy novel project by Jacob Falling (my husband's pen name for this project) that started all. 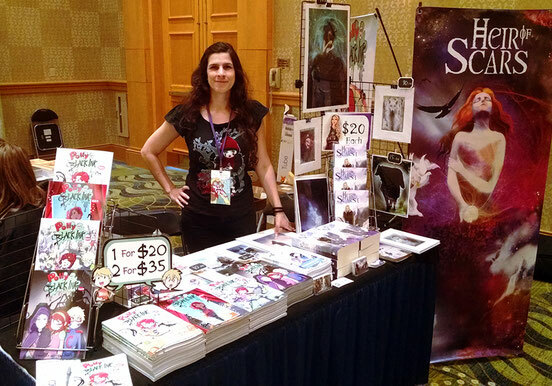 American author in search of art for his cover hires Portuguese artist girl! 389.. 390... webcomic episodes later, I am proud to present my first NotFromBrazil.com paperback that covers the first year of our relationship with tips on how to survive a long distance relationship and travel alone without stress. Also... the debut of volume IV of Polly and the Black Ink. This volume speaks so much to me. Only one left to finish the first Arc of Polly and the Black Ink series. You can find all our books and kindle editions here. Signing personalized copies to our new readers is fun!